Summaries and links to the latest news, bulletins and announcements from the British Beekeepers Association [BBKA] and the Yorkshire Beekeepers Association [YBKA]. Technical issues have now been resolved and the March and April YBKA Newsletters are now available to view via these links. The YBKA have organised two further events this year. The first prepares beekeepers for the first stages of the General Bee Husbandry and is in the form of 3 sessions during May and June [see link for details] held in Doncaster, Huddersfield and Whitby. This is a similar pattern of sessions as previously run but this time the emphasis is on practical hands-on work in the apiary. The cost is £20 per session (including lunch and refreshments) or, if anyone wishes to attend all 3 the full cost is £50. The tutors have placed a restriction of 12 places at each session. The 2nd is Mead and Melomel course which will be held on September 14th at the Great Yorkshire Show ground in Harrogate. The cost for this is £35. Full details in the flier attached but there are only 24 places available so early booking is advised to avoid disappointment. The YBKA February Newsletter is now available to read online. 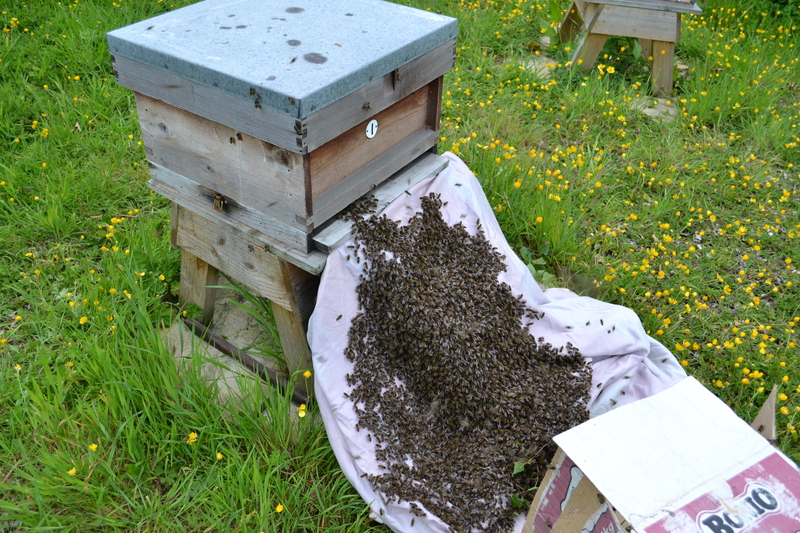 As advertised in the January YBKA Newsletter, a wax and candle day titled From Comb to Candles and More is to be held in the Hives and Honey & YBKA Normanby Pavilion at the Great Yorkshire Showground over the weekend 4th and 5th May. This is a ONE-DAY course organised in conjunction with Harrogate BKA so you can book for EITHER Saturday OR Sunday. Places will be allocated equally between the 2 associations. Tutors are John Chandler, Janice Fulton, Shirley and Richard Bond and Sarah Haynes. All bookings can be made via the YBKA website https://ybka.org.uk/event/wax-course/. Booking is now open (the cost is £40). There will be 20 places available for each day. Until the end of February the places will be restricted to 10 places per day from each of HRBKA and YBKA. Booking will be on a first come first served basis. On 1st March any remaining places will be open to anyone, including people from associations further afield. The January Newsletter from BBKA is now available to read online. The YBKA January Newsletter is now available to read online. The YBKA December newsletter is now available as well as the YBKA AGM minutes for 2018. Please note that the booking facility for members wishing to reserve places at the Spring Conference [see below] is now operational. YBKA members should go to the YBKA website to book. Details of the Winter Training Modules provided by YBKA are now available, and can be viewed by following this link: 2018/19 winter module study days. Great ideas for a knowledge-building day out! YBKA is organising a day with Roger Patterson entitled a Bee Improvement Event. This is being held twice, over the weekend of the 10/11 November. Details on the YBKA website.